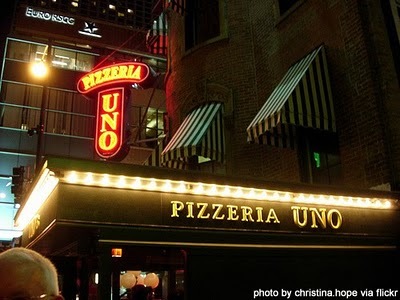 In one of my earlier rants about Pizzeria Uno, I briefly mentioned a difference between the original location and the ‘Uno Chicago Grill’ chain of restaurants all over the USA. only the original locations of Pizzeria Uno and Due in Chicago serve the authentic Chicago Deep Dish pizza that originated here back in 1943 as a collaboration by Ike Sewell, Ric Riccardo, and Rudi Malnati. The jury is still out as to how involved each individual was with the actual idea, but all 3 men were pivotal to it’s success. Now, when I talk about authenticity, I’m not just making a claim like when people say their pizza is only great in New York because of the water that they strained from the Hudson. There’s a real visible and substantial difference between the pizzas you get from the downtown Chicago pizzerias (Uno and Due) and the chain of restaurants owned by the same company. I was unfortunate to encounter a few of the latter – one out east in New Jersey and the other out in the Chicago suburb of Schaumburg, IL that I mainly visited for confirmation. Confirmation of what? 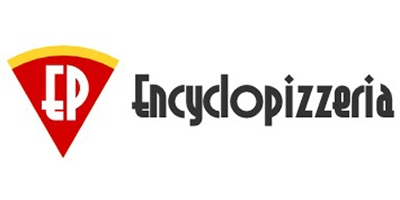 – of the company’s selling of their namesake’s deep dish heritage and reputation to make a temporary, though likely very lucrative profit. 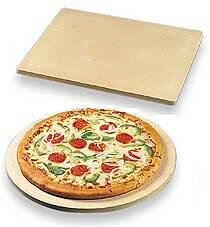 THE PIZZA YOU GET FROM THE CHAINS IS NOT AUTHENTIC CHICAGO DEEP DISH. Authentic Chicago Deep dish has cheese on the bottom, sauce on the top. The kind of pizza served at “Uno Chicago Grill” more resembles something served up by Pizza Hut. The chain restaurant is so many kinds of wrong – They make a giant moat of outer crust instead of a thin outer lip. They use shredded cheese instead of sliced and for some insane reason, they put the cheese on top with a scant amount of sauce scattered around. You’re reminded of several scenes from the movie ‘My Blue Heaven ‘, where the Italian mobster played by Steve Martin and some of his former ‘business partners’ are placed in witness protection in the WASPiest city in the US and forced to eat what the locals call ‘food’. The worst part is Uno’s also sells this abomination in grocery store freezer aisles, further damaging the reputation of Deep Dish. It’s not bad pizza, but it’s just a very bad example of Chicago style deep dish. 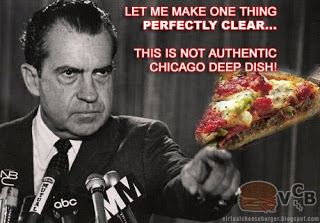 If you’re going to expand a successful deep dish pizza business to other cities, stick to the original formula and let people develop a taste for deep dish pizza instead of intentionally ‘dumbing it down’ and giving people a false impression of what Chicago deep dish is. 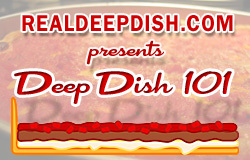 By going into other cities and representing this shady knockoff as real deep dish, you distort people’s perception of Chicago pizza and not only do a disservice to your own company, but to the City of Chicago and Americans everywhere. I hope that if you are reading this and have eaten at one of the Uno’s chain restaurants in another city and have yet to visit Chicago, please do yourself a favor and when you do visit, plan to stop by Pizzeria Uno (at 29 East Ohio) or Pizzeria Due (a block away at 619 North Wabash Avenue) and get the REAL thing before you pass judgement on Chicago Deep Dish Pizza. It’s the least you can do. Checked out the My Pi web site and found out that they had many franchised and family owned locations through the country. It appears that the only one left is in Chicago run by the original owners son. They do mail order, so I’ll have to give it a try and see if I could bring back the memories of the 1970s. My original post said it was originally Chicago Loop, but I think it was originally My Pi. If I ever get to Chicago I’ll try them all, pizza everyday. FYI, when Giordano’s sold out, I don’t think they got or at least use the original superior recipe. For Jim, if you get to Chicago to test all the great pies, please try My Pie (also with the mathematical symbol). They have made a great pie here in Chicago since the 70’s and the one in CT probably stole their name and recipe. The founder’s son now runs a small location on Damen in Bucktown since the original closed down. Wow, I wish I’d know this sooner. I’ve been to Chicago many times and have always avoided Pizzeria Uno because I figured it wasn’t even an authentic Chicago style pizza, lol. Their loss, I suppose. Back in the mid 1970’s there was a pizza restaurant in Nowalk CT. called “Chicago Loop”, the name was later changed to “My Pie” with the word pie substituted with the mathematical symbol for pi. It was the first time I ever had Chicago deep dish pizza and it was some of the best pizza I have ever had. They were jam packed every night and there was always a good wait on weekends. Sad to say they closed down after a couple of years. I was very exited to experience Chicago deep dish again when the Pizzaria Uno chains started to appear here in the Northeast. To my disappointment, it was nothing like the Chicago Loop pizza that I had back in the 1970’s. Since I have never been to Chicago I didn’t realize until finding your web site that there was a difference between the restaurant in Chicago and the chain restaurants. I just found your web site today and have already ordered a 12″ deep dish pan and I’m looking to trying my first Deep dish pizza. I have been making New York style all my life, but will be looking forward to a change every now and then. Thanks for the web site. Yes, I am able to het get the San Marzano brand in my area, they’re very good.